Keeping track of time while hiking is very important if you don’t want to spent the night in the great outdoors. However what do you do if you can’t remember your way back? Wouldn’t it be handy if you have a navigation tool right at your wrist? The best GPS watch for hiking is something you should have thought of before going on an adventure, especially if you left your phone behind. A watch for hiking usually has its own GPS installed, and many folks find this feature useful even when not hiking. These items are quite durable and lightweight – you surely don’t want to carry extra weight on your wrist, do you? A good display is also important, especially when the sun is too strong or when there’s not enough light. But can you find such a watch at all? Don’t worry, we are here to help! In this article we made a list of items you should consider getting for your next adventure, but also useful information on how to choose the best GPS watch that suits your needs. Keep in mind that not only the features are important but also the missing functions as well. Let’s get started! We can’t really talk about any item before we address the features that matter the most. This way, you’ll be able to tell if any other watch with a GPS function can be used for hiking as well, and just how much it will help the adventure. Just because the watch has a GPS it doesn’t mean you have no use for a compass – on the contrary. Keep in mind that the GPS consumes a lot of battery life, and if you have no way of recharging it, you could get lost. A digital compass might not feel as reliable as a traditional one, but it can prove a lifesaver if you’re in a survival situation. Some devices might lose signal in some places, and therefore it is impossible to use them for their GPS. In such a case, you can easily find your way back if you have an alternative tool to show you the way. Some models of watches designed for hiking come loaded with maps. Some people might find reading a map easier than using a compass. You should know that these models will generally be bigger and maybe heavier than other similar ones. It is also highly possible for only devices with a squared or rectangular dial to have this feature. The display of a watch equipped with GPS is important. First of all, all products of this type will have a digital display. Most of their screens are black and white. The models that have maps might have a colored display. The screen might or might not be touch sensitive. 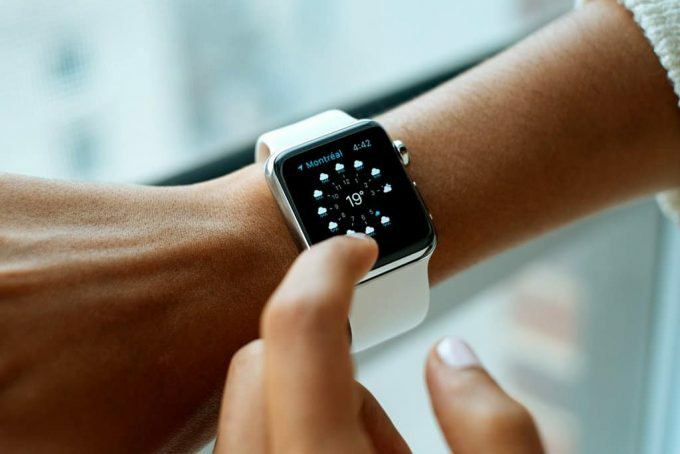 Watches with a touch sensitive screen have fewer buttons than the others. If possible, make sure the brightness of the screen is enough to see the information in very strong light or in pitch darkness. Depending on where you go hiking and for how long, staying updated on the weather changes is important. Usually a watch equipped with a barometer can easily let you know should a storm approach. The barometer is a feature very useful for those hiking in the mountains or in other countries. Usually watches having this function also have an altimeter installed. For someone who likes hiking a watch that is not at least water resistant, is of little use. Users need to be able to use their watches in order to find cover should the rain start all of a sudden. Sometimes, their adventures will force them to cross bodies of water as well. Usually the watches designed for hiking can only be worn while swimming and maybe snorkeling. It’s advised against wearing them while diving, especially deep diving. Not many smartwatches have the possibility of storing a lot of data. Some models allow the user to load them with songs or maps for certain areas, or specific type of maps. Having a larger storage memory allows the user to also record more data regarding their activity. One such recording can be the path between two points for those who want to follow the same route on their way back. Most smartwatches use rechargeable batteries. You’ll see some models that make sure of replaceable batteries instead. Regardless of the type of battery installed, you have to check for how long the energy source lasts. Keep in mind that the more functions you plan on using, the less the battery will last. Hopefully now you are more knowledgeable when it comes to GPS watches and will be able to get a high quality item and be confident it won’t break when you need it the most. Below you can find the section you were waiting for! All these watches have a GPS and we’ll present you both their good and bad parts in hopes you’ll be able to better decide on one. If you need a smartwatch, take a look at the GoLife X-pro Adventurer Watch. The watch has multiple features that are perfect for an adventurer life, starting with a built in GPS. The GPS tracks your speed as well as location and updates to any time zone. This device is suitable for a variety of sports thanks to its multi-sport mode. If you need to keep in touch with your contacts, you should know the item includes real time alerts of texts and calls. The watch keeps records of your steps, workouts, and speed which helps with monitoring your fitness and activity levels. Speaking of your fitness levels, you can use this watch while paired with Apple or Android devices, using the GoFit app. You should make sure to sync the data within 2 days if you don’t want it lost. This smartwatch can be worn while swimming but not diving, as it offers waterproof abilities up to 50 meters deep. Maybe you are wondering about battery life, and this GoLife device lasts for 18 days with no GPS, or 11 hours with the GPS on. The watch is compatible with the heart rate monitor and is made of stainless steel combined with a scratch resistant wrist band. Related: If you plan on using this device for playing golf, you better get one that is approved for the purpose. The Bushnell Neo Ghost Golf GPS is what you need, as it also has countless of golf courses preloaded, as well as several hazard situations per hole. Check out the Garmin Fenix Watch as it is an idem designed for all your sport needs. The gadget features a sensitive GPS navigator that can be turned on and off to save battery life. The watch is waterproof up to 50 meters, which makes it a good choice for swimming but not diving. This watch is easy to use and convenient thanks to its many functions, which include an altimeter, barometer, compass and several alarms. This device tracks and keeps records of your activity, speed, location and calories burned during your workout. 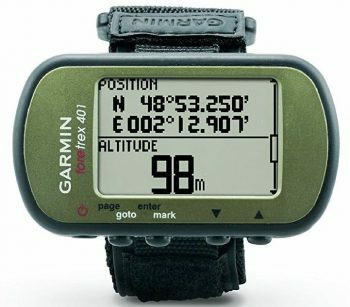 The compass and altimeter features will keep you safe while hiking in an unknown location. 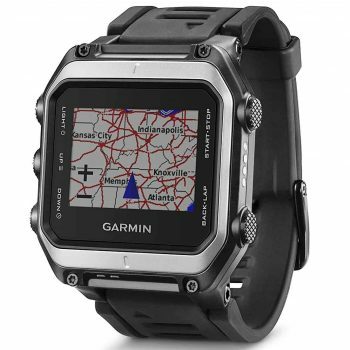 This watch allows you to create and track your own routes, and can store up to 10000 track points. You can also sync and share your data with your friends or other smartwatch users. The smartwatch features a temperature sensor that lets you know when a storm is about to happen. This piece has a stylish design and a rugged look, which makes it suitable not only for adventure trips but also daily outings. Related: Those searching for a an alternative, the Casio WSD-F20 Protrek Watch could be a solution. 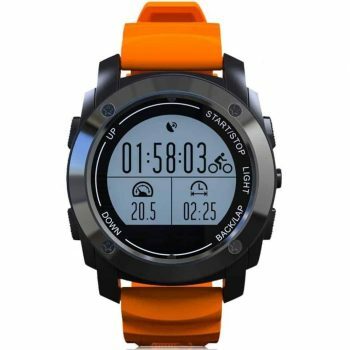 This item can show the hour in analogue manner, has GPS, digital compass, altimeter, barometer, as well as other functions that can help you with staying fit. The Suunto Traverse Watch could be everything you need in a smartwatch. The device allows you to upload routes by using the GPS tracking feature, and you can also track your progress with the various features. The watch features an altimeter and a barometer, as well as a breadcrumb trail that enables you to retrace your steps. You can also take advantage of the other useful features such as barometer trend. This features measure temperature and lets you know whenever there is rain or a storm coming. Maybe you want to keep in touch with the outside world, and you can do so by enabling the push alerts from your phone. The device will only vibrate but not ring, enabling you to stay focused on your activities. This watch is 100 m waterproof, which makes it a good choice for watersports such as swimming. Some other useful features of this watch include several alarms and a backlight when used in the night. The watch sports a stylish black look, suitable for any occasion in your life. 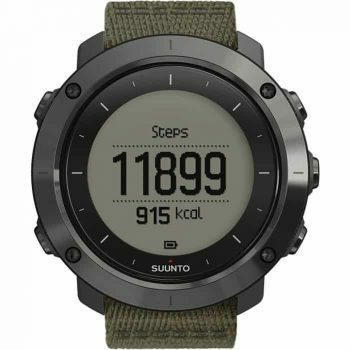 Related: The Suunto Quest Watch comes packed with useful features if you want to change the language, keep track of your heart rate, and a stopwatch with laps. 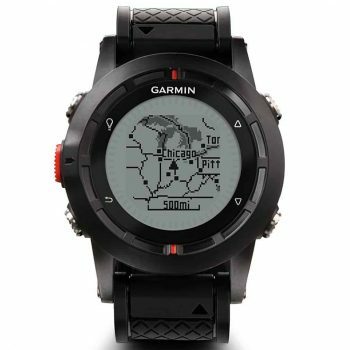 The Garmin Foretrex 401 Navigator could be just what you need in a new watch. This device is equipped with a highly sensitive GPS, which is also able to receive signal in low coverage areas like canyons. This watch can keep track of your routes or help you create new ones, and it features a heart monitor. You can use the heart monitor to track your heartbeat and general health while hiking. This watch also includes a trackback feature, which allows you to retrace your steps. The device is easy and convenient to use due to its LCD display and long battery life that lasts at least 17 hours on GPS. Furthermore, the item includes some other essential features like a barometer, altimeter, alarms and hunting information. You can keep in touch at all times with your family and friends by enabling the text message and call alerts. With an impressive and unique look, this piece could be a great asset in your adventures. Make sure to have enough AAA batteries, as these are its only sources of energy, since you cannot recharge it, like other models. Related: The Fitbit Ionic Watch is a great alternative if you want a something smaller and that doesn’t require batteries. 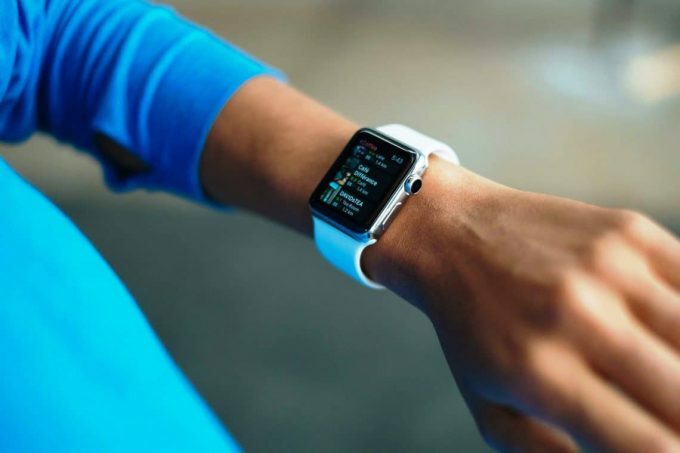 It has personalized workouts, the possibility to store 300 songs, GPS to track pace, and water resistant. 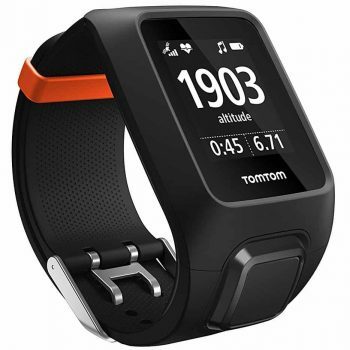 The TomTom Adventurer Watch in black delivers good performance to your fitness needs. The watch offers several multisport modes for any activity you have in mind, such as hiking, skiing or running. 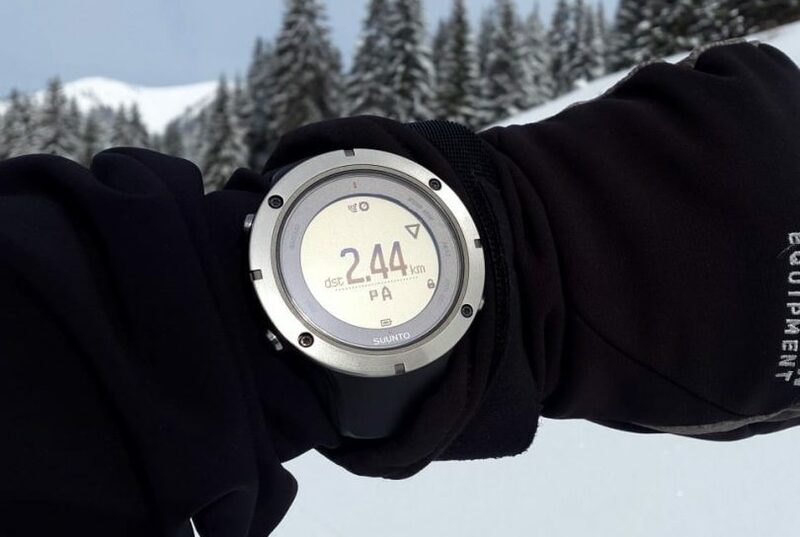 This device is also designed with special modes for trail running and snowboarding. Unlike other watches, the item features Bluetooth headphones that last for 6 hours and can be worn in any weather. The watch features a compass, a barometer, and allows you to create your own personalized routes. You can wear this device while swimming as it waterproof up to 40 meters. The item is designed with highly sensitive GPS functions and a built in music player that keeps your goals on track. You can keep records of your pace, walked distance, location and routes in order to make your workout convenient. This watch also features a built-in heart rate monitor and tracker. This device includes several alarms and smartphone notifications to help you keep in touch with contacts. Related: If you want a similar watch to take with you swimming and while doing other watersports have a look at the TomTom Spark 3 Cardio Watch. It has backlight and a pedometer among other useful features. 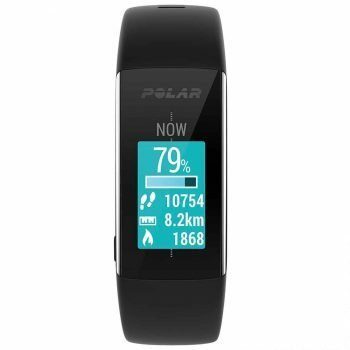 The Polar A360 Fitness Tracker could be just what you need in your adventures. The watch sports an edgy look given by its color touch screen and black wristband. 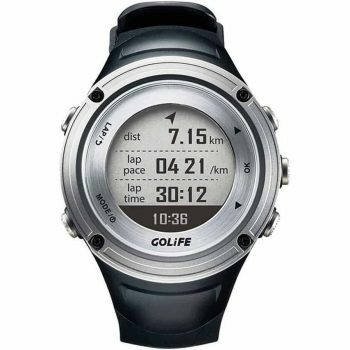 This item features a heart rate monitor that helps you keep track of your activity rate and guides you in your training. Its activity tracker measures steps, distance, location, calories burned as well as sleep quality. This watch includes smart notification alerts that will let you know whenever you get an incoming call or text. This device is waterproof and can be used with various waterproof wristbands whenever you are practicing watersports. The item is lightweight and can be worn during extensive workouts but also on your daily walks. You can easily see the distance you walked, if you turn the tracker on. The 24/7 activity tracking feature makes it a smart choice for anyone trying to reach their fitness goals. The big letdown is that it doesn’t have its own GPS, so you’ll have to pair it with a smartphone or other device that has this function. Related: The Polar M600 Watch has GPS and the possibility of showing the map and way to your destination. You can use this watch for any workout session especially because it is delivered with a resistance kit that includes a jumping rope as well. The Garmin Epix Watch is suitable to all your fitness needs. The watch was built with a color touchscreen and a 8 GB internal memory that allows you to upload your own routes and maps. The device can be customized with several apps and widgets that will make it more personal to your needs. The watch includes smart alert notifications for text messages and calls that will not disturb your workout focus. The Garmin Epix features a multi activity mode that enables you to access several sports, like swimming, running and hiking. Furthermore, the device includes an easy to read compass, an altimeter and a barometer. You can keep track of your fitness levels as well as your workout routine, location, pace and calories burned. This piece is waterproof and can be worn while swimming. Its EXO antenna allows for better signal even in low coverage areas, no matter where you are. This watch is also lightweight and fits any style of gender. Related: The Timex Ironman Watch is a more affordable alternative. The main screen can display 3 types of information at once: distance, pace and time, though it does have a GPS function as well. Maybe you need a fitness watch, so check out the GooPhone S928 Watch. The watch has a built in sensitive GPS that tracks location and pace with great accuracy. The watch also tracks calories burned during your workout, speed, and steps. Unlike other similar items this watch is lightweight and easy to wear on your hiking trips. The item cannot be used when swimming or diving, however it offers waterproof features for daily activities. This GooPhone watch features a compass, altimeter and barometer that lets you know when temperature changes. The watch has 4 exercise modes for any sports as well as a built in heart rate monitor. The heart monitor helps you keep track of your fitness levels by measuring your pulse at any given time. Furthermore, this piece has a built-in Bluetooth and several other functions such as alarms, call alerts, a sleep monitor and a thermometer. Displaying an LCD screen and switchable wristbands, the watch makes a great addition to any adventurer. Related: If you want a watch to take with you while swimming, you should have a look at the Magellan Switch Crossover Watch. The main screen shows time, distance and the pace, and you also have 9 sport modes as well. This is where our presentation comes to an end. We trust that now you’re able to better understand the features of a GPS watch that is good for hiking and are able to get one even if it’s not found on our list. Remember that a watch that has a GPS is good in many other situations, not just hiking. For instance, those who like to stay in shape will usually wear a watch like this. This type of gadget is a nice addition to anyone who wants to be up to date with the latest trends. Now we’d like to know if you used any of these watches and if there is any other you think performs better than the ones we showed you. Is there a feature you think these watches are missing? If so, please tell us more about it in the comments section below!